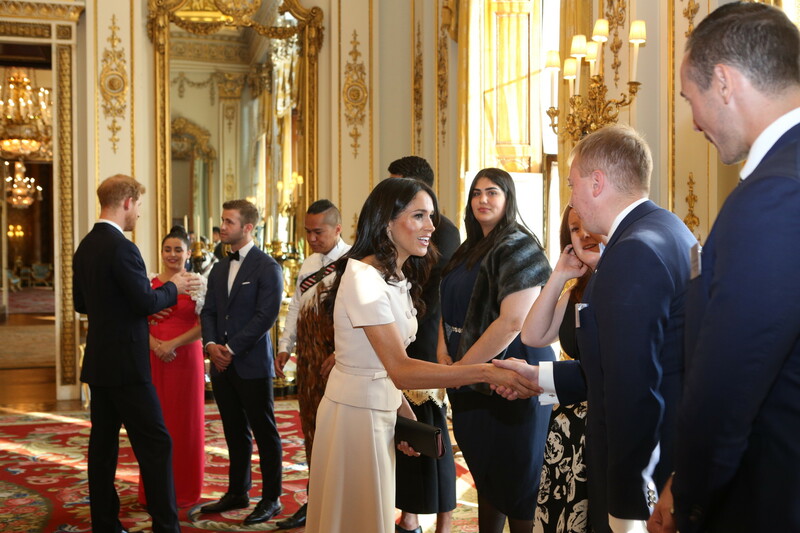 On 26th June 2018, The Duke of Sussex gave a speech at the final ever Queen’s Young Leaders Awards ceremony at Buckingham Palace. It’s an honour to be here today to recognise and celebrate this year’s Queen’s Young Leaders. This programme was launched four years ago in honour of Her Majesty The Queen’s service to the Commonwealth and Her belief in young people as a force for positive change. As many of you know, this is the last year of The Queen’s Young Leaders Awards, but the legacy of the programme will no doubt carry on for generations to come. This year we are recognising the incredible work of the final group of exciting young change-makers from across 38 Commonwealth countries, who are working to improve the lives of people in their communities and beyond. The issues all of you have chosen to take on are at the core of some of the world’s biggest challenges – from tackling stigma around mental health and promoting gender equality, to changing mind-sets and habits in order to conserve our natural world – you are all making a huge difference. Your generation is the first that will have to deal hands-on with topics and issues that have been known about for a very long time. You are the future leaders who will need to pick up the baton on issues such as climate change, food security, equality and access to education, and improving the lives of the most vulnerable people in our communities. The pace of change is happening so much faster than it did 100 years ago, or even 50 years ago. A more interconnected world means that any local problem can become a global problem overnight, but at the same time the technology and innovation driving this inter-connectivity means that any local solution can become a global solution just as fast. In this rapidly changing world, it is heartening to meet so many inspiring young people gathered here today, who have already stepped up as leaders and improved the lives of so many people across the Commonwealth. You are the hope and optimism the world needs and we will all do everything that we can to support you in it. One of the best things about The Queen’s Young Leaders coming together this week is having the chance to share the projects you’ve taken on – you are now part of a community of people trying to do good. I encourage you to nurture these new relationships, share your ideas, stay connected and keep working together. What you have achieved individually is formidable, but collectively, the possibilities are limitless. This is not the last you will hear from me. Earlier this year, I was honoured to have been named The Queen’s Commonwealth Youth Ambassador, and I am committed to supporting the legacy of The Queen’s Young Leaders and the 1.4 billion Commonwealth youth. I guess you can say you’re stuck with me. 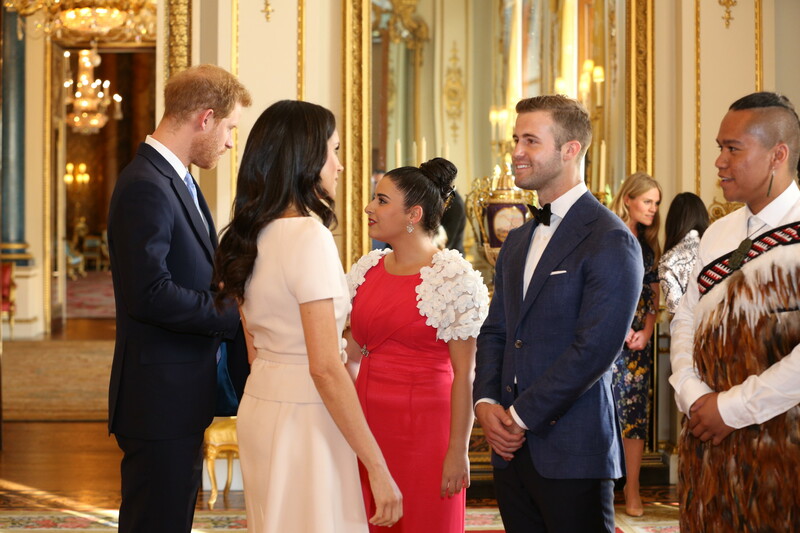 I, together with my wife Meghan, look forward to convening young people from around The Commonwealth to hear your ideas, work with you to build platforms for you to collaborate and form partnerships, and continue to meet with many of you as we travel around in our work on behalf of The Royal Family. We look forward to meeting many of you this evening – but we also hope to see you in action in your home countries someday too. The complete network of Queen’s Young Leaders has now been established, forming a powerful group of 240 young people from across 53 Commonwealth countries that will connect, collaborate and change lives together for years to come. I can’t wait to see all that you will do to change the world!